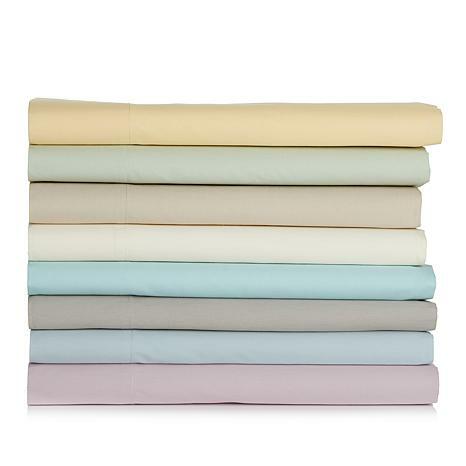 Slip into these crisp sheets at night, and spend your sleep wrapped in cool comfort. The Nova Cool technology pulls heat away from your body and creates an immediate cooling sensation. 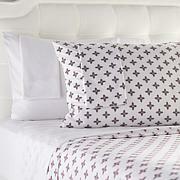 Spread this sheet set on your bed, and settle in for a cool night's rest. I bought these sheets with my fingers crossed. I have been struggling to keep sheets on my adjustable king bed and I had just ordered a feather pillow topper for the mattress. These sheets are PERFECT. These sheets do exactly what they were meant to do, keep ya cool! Love them, my son perspires heavily and now his sheets are not soaked in the morning. Great buy! These are quickly becoming the favorite sheets for me and my husband. I cant sleep if I am too hot and these sheets are great! 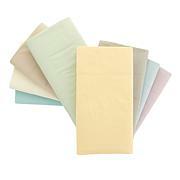 Sheets are as described:cool , easy care. Set was gift to family member. Highly recommend them.